This vintage porcelain tea set consists of 4 footed cups and lidded tea pot. This set is an overall white color with a blue and white butterfly design. 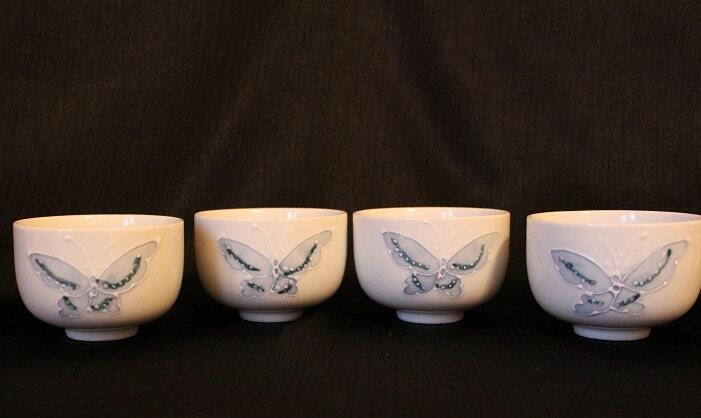 The cups feature a single multi-blue butterfly with a spread wing design on one side. 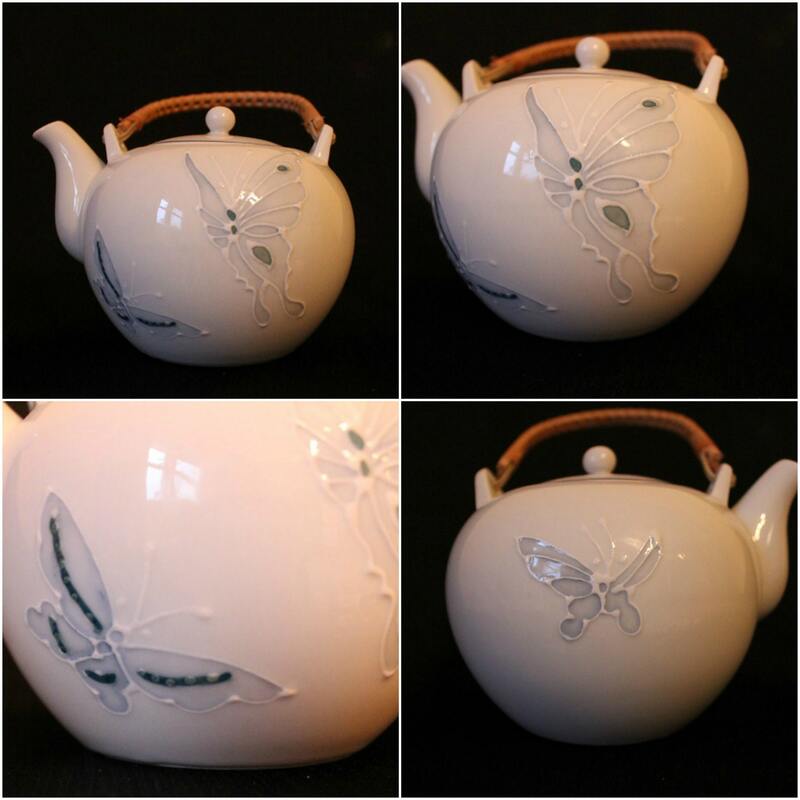 The butterfly is outline with a raised white line, The tea pot has two butterflies on one side. The smaller one matches the design on the teacups. The larges one shows a butterfly in more of a profile. 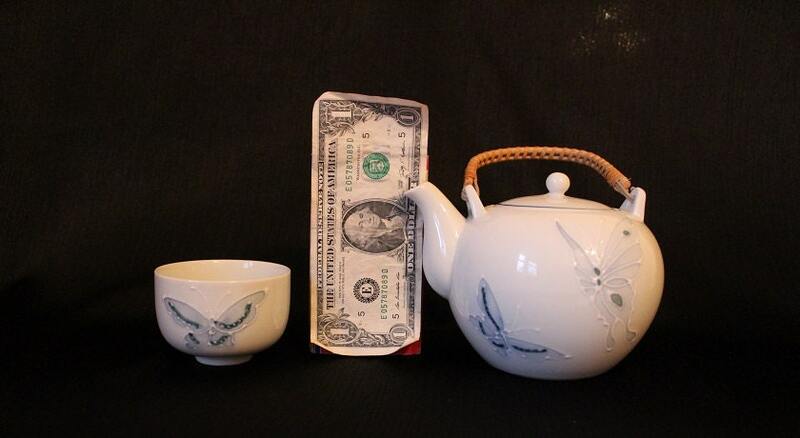 There is a single small butterfly on the other side of the teapot. The metal handle is wrapped with what looks like wicker and the lid has a blue lined trim along the rim. The teacups are unmarked, but the tea pot is stickered "Made in Japan" on the bottom. This porcelain set is in excellent condition with no cracks or chips.